Entrepreneurs have one of the most difficult jobs in the world. Mistakes are a given in any job, but with so many balls in the air, entrepreneurs are especially vulnerable to them. Why do we keep going in spite of the hard work, long hours, and propensity for mistakes? Simple: the rewards when things go right are incredible. 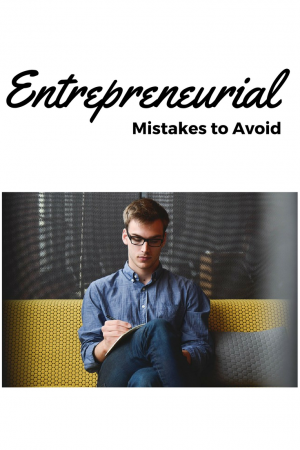 So continue reading for the entrepreneurial mistakes to avoid. Forewarned is forearmed. Read on to discover the seven most common mistakes entrepreneurs make, and then avoid them like the plague! Confidence is a necessary trait in any entrepreneur. Even so, if you expect your venture to take off immediately, you are bound to be disappointed. Growing a business takes time. Making money at it takes even longer. Realistic expectations help you weather the rough times most businesses experience, especially in the beginning. If you go into it expecting to earn money the minute you open your doors, you’re much more likely to close them because you did not plan for the lean times a business experiences in the beginning. Instead, expect your business to take time to get up and running. This means giving yourself a financial cushion until you start making money. 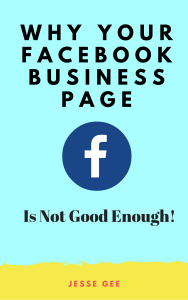 If your business does take off quickly, congratulations! Now, be smart. Instead of blowing your cushion on a champagne and caviar feast, keep it banked to guard against any hiccups you are sure to experience along the way. The same confidence that leads to someone becoming an entrepreneur may also cause that person to dream big. Big dreams are good, but when you spend your time and energy planning how huge your business will be, you may forget to start in the first place. Instead of fantasizing about how your business will change the world, start small, with basic goals. There’s nothing wrong with dreaming big, unless, of course, those big dreams keep you from doing anything. You don’t have to wait until you have a game-changing product. Begin with what you have, determined to grow and improve every day. With perseverance and time, you can build up to changing the world. Ego often makes us feel like the only way to be sure that something is done right is to do it ourselves. A good entrepreneur, though, knows that it’s best to delegate some tasks. You may outsource these, or use an in-house team, depending on the type of task. Attempting to handle everything yourself is a one-way ticket to burnout. Part of the job of an entrepreneur is hiring competent staff or contractors who you trust to perform the work to your standards. What’s more, it frees you up to focus on the things that others can’t handle. Think back to the best boss you ever had, and embody that management style. If you haven’t been that lucky before (maybe it’s why you’re starting your own business), the best bosses know how to hire good people, then they know how to equip and empower them to do their best. The final piece, which may be the hardest, is to then get out of the way and trust them to get the job done. That doesn’t mean not stepping in when necessary. What it does mean is you step in as a coach, not a player. Then, get back to doing the work that requires your expertise. One of the fastest ways to kill your business is not having clearly established goals, along with ideas on how to meet them. Remember the second mistake – not being realistic – when setting your goals. That doesn’t mean you shouldn’t be ambitious. If your goal is to be the biggest producer of widgets in the world, that’s fine, but don’t start with the world. Start with your town, then your county, then your state. You get the idea. Your goals should be challenging but attainable, and then broken down into the steps you can take to achieve them. Of course, setting goals is only half the battle. If you don’t then take action, a goal is nothing more than a dream. A business plan is a necessity for any business that needs outside capital to launch, and requires a year or more to turn a profit. Flying by the seat of your pants may sound like fun, but in reality, it’s only fun if you think failure or taking twice as long to succeed make for good times. A good business plan requires understanding how your industry works to predict three years of sales and cash-flow projections. Your goals have to grow and change, and this requires your understanding of how your business will grow and change. The opposite problem is over-thinking your business plan. You need to find a happy balance that gets you thinking about the future, but not worrying so much about getting it perfect that you never act. 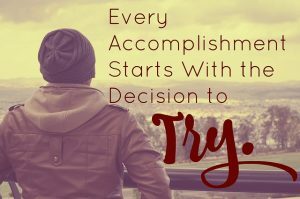 A true entrepreneur knows that, eventually, he has to take a chance. If your only goal in becoming an entrepreneur is to make money, do yourself a favor and move into day trading instead. Failure as an entrepreneur is a sure thing in these cases. First, you aren’t likely to pay your people well because you want to keep all that money for yourself. This means the best people won’t touch your venture with a 10-foot pole. Second, you’re probably going to be in such a hurry to sell your startup that you won’t put in the time and effort to establish it properly. The money is important, obviously. However, it isn’t the only thing. If you can focus on the future of the business, and what it takes to get there, you have a much better chance of getting that big payoff. Adaptability may be the biggest key to your success. Things change; it’s a fact. Some of the things you try won’t work. Sometimes, things will work in a way you didn’t expect. Sometimes, a radical new technology comes out of left field, making your business obsolete (think Blockbuster). Even when everything you do goes perfectly, stuff happens. Like John Lennon sang, “Life is what happens to you while you’re busy making other plans.” If you can’t adapt to change as it comes, your business has a short shelf life. When it’s all said and done, life as an entrepreneur is a high risk/high reward endeavor, and it isn’t for everyone. If you’re up for the challenge, though, you’ll learn that entrepreneurs change the world.